Collection is the make-up brand I first ever used as a teen and as a brand it is one I have fallen back in love with, mainly because of these two products which team up as amazing dupes! The Collection Gorgeous Glow Bronze Brick which costs just £3.99 is brilliant. There is a great range of shades from a highlighter to a much darker bronzer and they are all highly pigmented, much more so than I would have expected at that price. They are a velvety smooth powder formula which makes them really blendable. 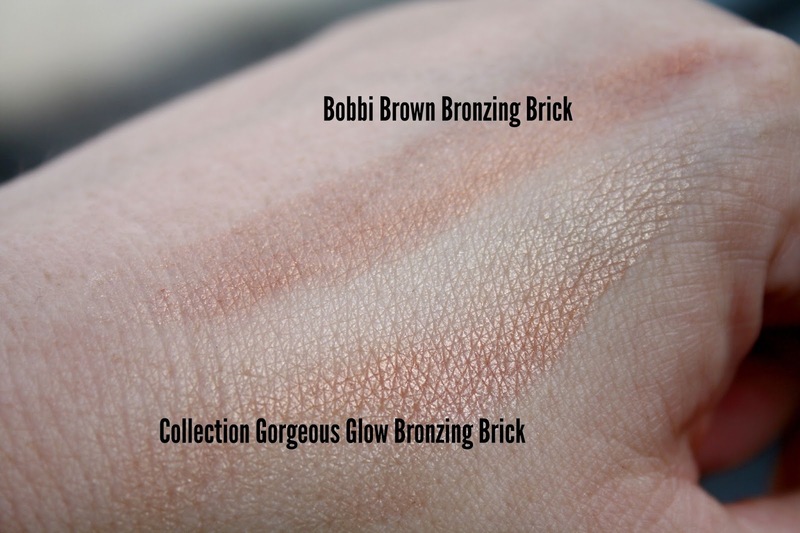 Then I have the Bobbi Brown Bronze Shimmer Brick, which I have duped before and whilst it is an incredible product, highly pigmented shades and as blendable as you want it to be, it costs £32.50. If I had to choose a favourite, Collection edges it for me with this Glow Gorgeous palette because it highlights as well as bronzes and the shades are much more workable. 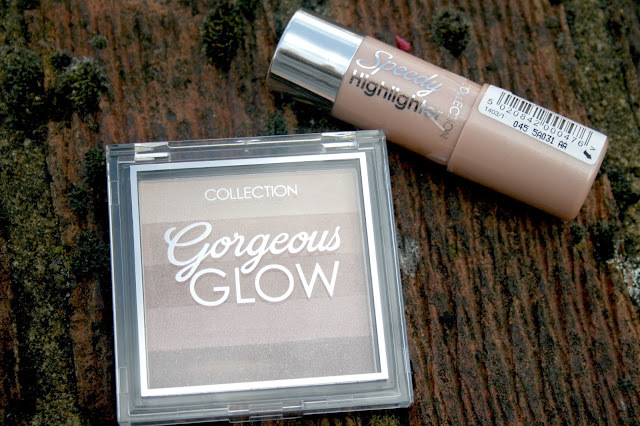 The Collection Speedy Highlighter, which is priced at £2.66 in Superdrug. As a Crayon it makes the job of adding some highlights to your face an absolute breeze and it is perfect for on the go. Then there is the Boots No.7 Instant Radiance Highlighter for which the Collection Speedy Highlighter is the perfect dupe and again I have duped this before. 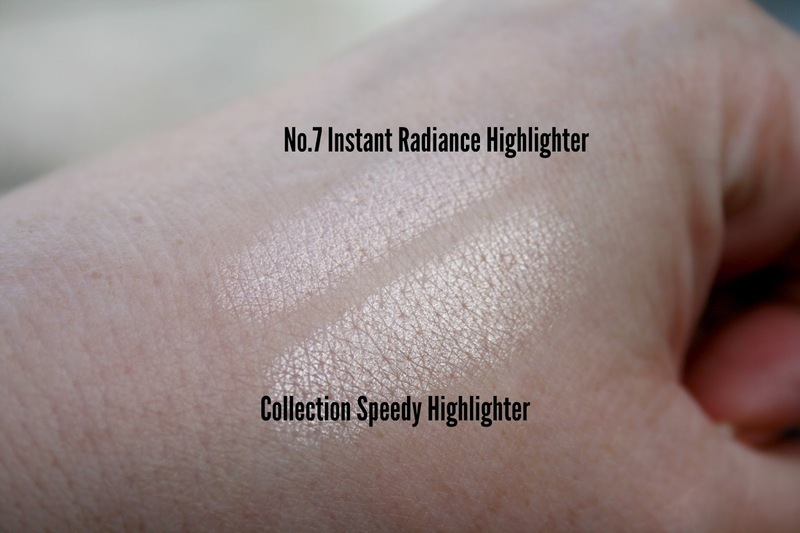 I love this No.7 Highlighter, it is has an amazing formula which dried incredibly quickly and creates an amazing highlighting effect and it costs just £9.95 but the Collection version is almost a third of the price! Again this Collection offering is incredible, I absolutely love it and have already bought a back up in case I should run out. It is so similar to the Boots No.7 version it is impossible not to love both, but the highlight that comes from Collection, as you can see below, is amazing and for me it is the winner of the two. So these are the two current dupes that I am loving right now! What do you think? Have you found any decent dupes lately? Wow there really isn't much of a difference between these!! I hate how expensive makeup is but am always dubious of the really cheap ones as I'm never sure of the quality :/ This highlighter looks great though, I'll definitely be looking out for this because it's an item I don't already own! I love the look of the bronzing brick, such a bargain too! I love finding a good dupe especially when it has the same or better staying power as the original. Looks like 2 great products especially for the price!! That highlghter crayon sounds like even I could use it as a blind and quite clumsy person.It's truly affordable. 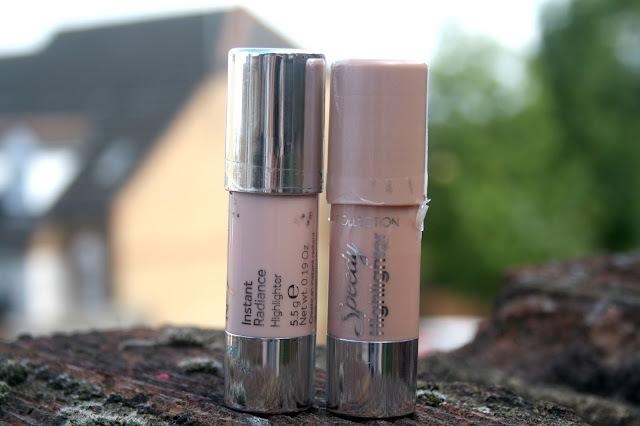 I love this post and I love a good dupe! I actually have a collection shimmer brick type product, I think it's the only collection item I own in fact and I do use it. The gorgeous glow looks fab! I love things that can be used in various ways to achieve different shades! I love dupes and I'm always scouring the internet for them - only thing is once it gets out I can never find anything in the shops! These highlighters look great considering how little they cost. Ooooo I love when I come across posts like this. Dupes are very high on my list of things I need haha. Great dupes!! They are both beautiful products. Oh wow those are some awesome dupes for sure. I seriously want ALL of the Collection things and I am obsessed with those highlighter. LOVE!!! Oh wow! These look great. I'm going to have to add them to my beauty list. What a fab dupe! I have not even heard of this brand before! I never tried this brand but these products look pretty amazing for the price. 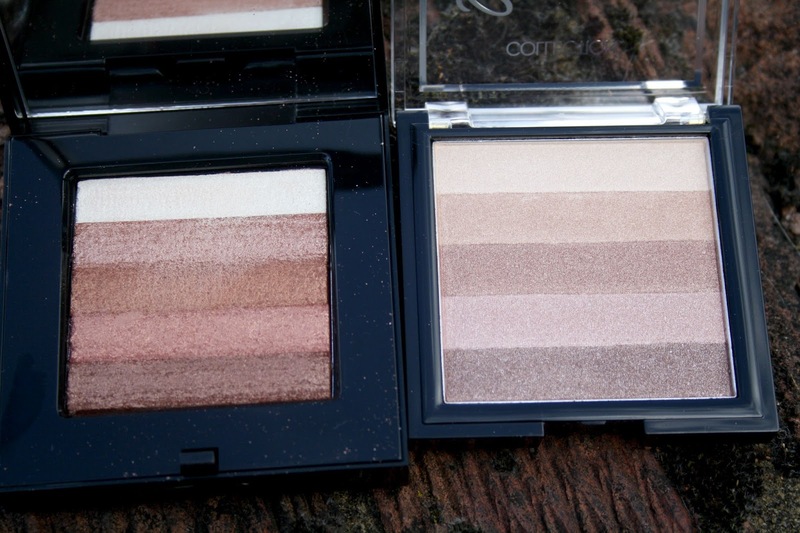 I love reading about dupes! These are pretty awesome dupes! I don't know if I can get this brand here in the states, but thanks for the heads up!